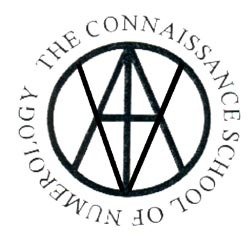 The Connaissance School is developing a new Masters course, which is intended to be taken by students who have already taken the full Diploma course. It will consist of a series of six weekend workshops taken over three years. Participation in any four weekends will qualify the student for the Masters Certificate. This new course develops in depth and breadth the concepts learned in the Foundation and Diploma Courses. Students who have only taken the Foundation Course are welcome at each weekend; they would receive a certificate of attendance, but only when they have attended the Diploma Course will the certificates they receive at these weekends contribute towards the Masters Certificate. We are all pre-occupied by our own personal history. Numerology is very good at shedding a bright light on personal charts from the immediate point of view and the broader karmic perspective. The less we judge every day events by our immediate reaction to them, the more we perceive the manifestation of the will of the greater life we live in over time - past present and future. This is so for countries, continents, the Earth and the Universe. The life of our own planetary logo unfolds in time and space according to a much bigger agenda than his own preoccupation, because his only intent can only be to serve the greater life in which he lives and has his being. So we will be looking at numbers associated with some important dates in the karmic calendar of Europe and its impact on the world. The wider perspective helps us not to allocate blame for any past or future happening in the history of humanity. The reason for specific periods of “good or bad” manifestations of events is to provide change and transformation opportunities. Opening our mind should allow us to let go of mind-sets fed by emotions, which are sustained by the overwhelming survival intent of our complex biological life. Finding the way back to our source requires a real effort to be aware of ourselves as Soul. At this level of awareness, the great work of evolution of consciousness really starts. The ageless wisdom offers a vast knowledge of time and space with number being primordial in its vocabulary, as it had calculated the age, size and multitude of levels of manifestation of the Universe. Looking at the Heavenly Man in the Eastern sacred geometry tradition, we can reflect on our own journey into soul realisation through the clues given in the numbers. Course Schedule: From 9.30 to 18. Lunch break from 13 to 14.